Can redheads wear red? I have yet to meet the first redhead who hasn’t asked herself that question. It’s an old rule in fashion that redheads should avoid wearing the so called sunset colors and red is one of those. Well, I couldn’t disagree more! I can’t imagine my wardrobe without red. 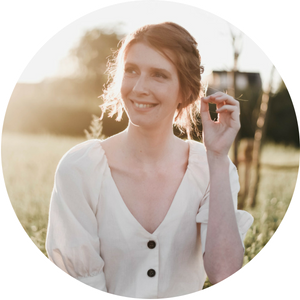 The key is to find the right red tones for your ginger hair, skin tone and eye color. I have pale skin and blue eyes, so I personally love to wear bright poppy red and dark reds such as oxblood. I avoid the more pinkish reds and pale reds. One of my ginger friends has beautifully tanned skin and dark eyes and therefor she loves to wear deep red shades. She doesn’t feel comfortable wearing the bright reds that I love so much. It’s all about daring to try out different tones of red and seeing what works best for you and makes you feel confident. It’s apparent by now that red is a huge trend this fall/winter and I couldn’t be happier! You probably won’t see me wear an over-sized red sweater, but I do look forward to playing around with classic items in a bold red. I can’t wait to style up my red blazer or my red dress from reiss again soon! 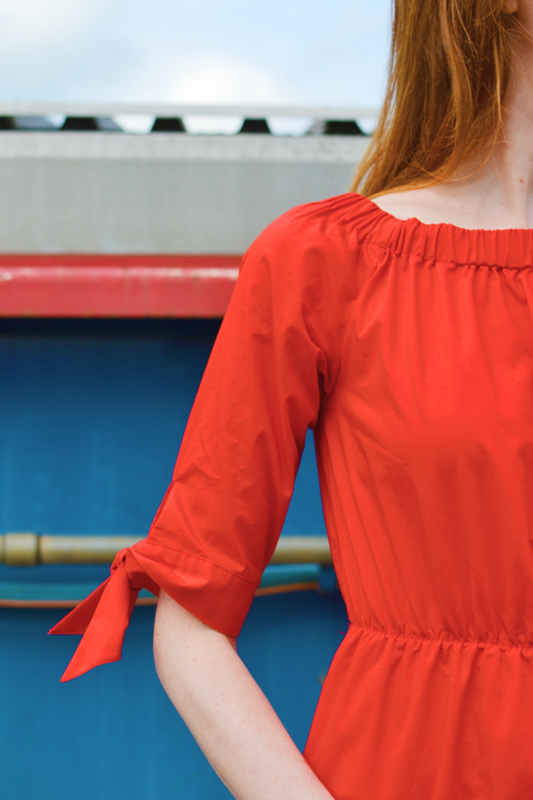 I’ve gone through my blog archives and noticed how much I’ve worn red on the blog before, both as a full look or as a punch of color. 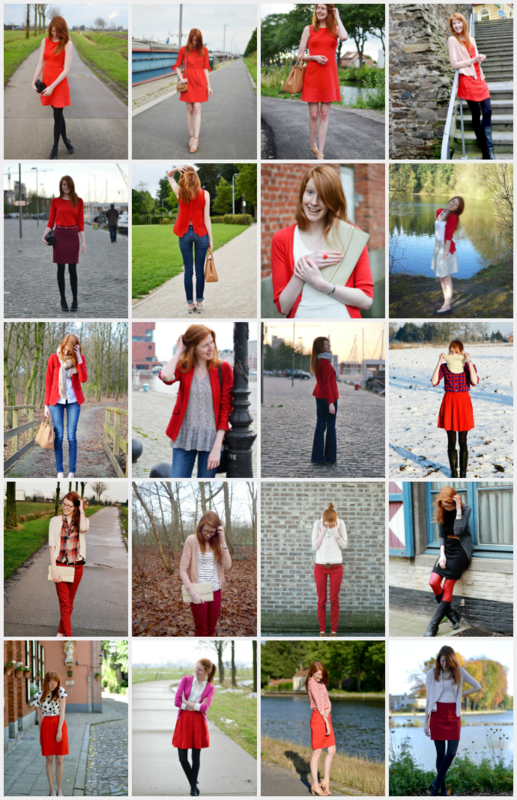 I thought it’d be fun to share all of the outfits together for a good dose of inspiration on how to wear red as a redhead! You look awesome in this shade! I don’t wear it often, but I do think it looks good on redheads. I jsut tend to fall into the blue-green clothing catagory. Red is one of my favorite colors to wear! My mom told me as a child that I couldn’t wear it, but of course I didn’t listen to her as I got older and found the shades that worked for me! And actually not too long ago when I was wearing red she apologized that she ever said it to begin with haha. So happy you wrote this post!! Love that dress in the first photos. the ties on the arms are so cute!